When you become certified on the EQ-i instrument, you will learn the science behind emotional intelligence and be able to articulate to your clients how their emotional intelligence is shaping them currently. By taking the EQ-i 2.0 assessment, your clients will learn how to apply emotional intelligence to their workplace and personal relationships. They will learn how their emotions interact with their thoughts and how these thoughts and emotions affect those around them. Most importantly, they will gain understanding about how to use emotional intelligence to engage their daily life, both personal and professional, more effectively. 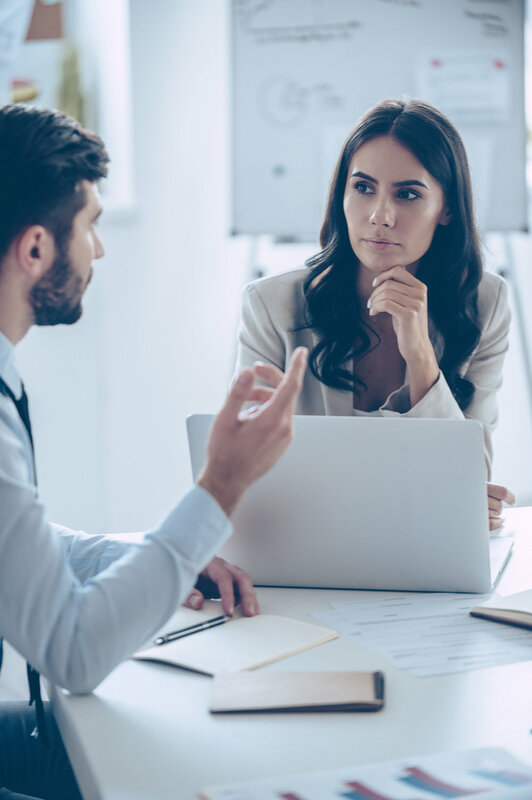 While the EQ-i 2.0 identifies the level of a cli­ent’s emotional and social functioning based on his or her personal responses, the EQ 360 assess­ment provides a more in-depth analysis by having those who work alongside the client pro­vide feedback on their behalf. When observer rat­ings are compared with the results of an EQ-i 2.0 self-report, a complete 360 degree profile emerges. The EQ 360 identifies key strengths that can be leveraged to the benefit of the organization, as well as identifies potential roadblocks to high performance that could be removed with coaching. Read the required pre-read book. Attend a 30-minute one-on-on consultation with Dr. Livingston prior to the certification dates to debrief your EQ-i 2.0 assessment results. A welcome email from our certification coordinator, including detailed instructions regarding the pre-work process within (1) business day. An email from Multi-Health Systems that includes your unique invitation for accessing the portal containing the eLearning modules. A second email from Multi-Health Systems with your unique invitation for accessing the EQ-i 2.0 assessment. Once you have received these instructions, you may begin completing your pre-work. The deadline for completion of the pre-work will be communicated to you in the introductory email from our certification coordinator. Upon completing all (4) steps of the pre-work, you will contact our certification coordinator to schedule your 30-minute consultation call with Dr. Scott Livingston. You will receive instructions for joining the certification sessions approximately (1) week prior to your certification dates. To complete the certification process, upon completion of the training you will receive a link via email to an online exam. Successful completion (75%) of this exam will result in gaining access to your user portal within 3-5 business days. If you have further questions about the Ei certification, please click here to contact us and a member of our team will get back to you as soon as possible. Important Note: To ensure each participant has adequate time to complete the pre-work required for this certification, registration must be completed at least (2) weeks prior to the certification date.